This is an exciting time to be a part of the viola studio at the University of Tennessee. 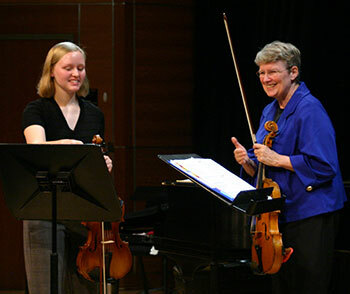 With a nationally recognized teacher, wonderful guest artists every semester, in-depth special topic seminars and unique events such as the Viola Celebration, the UT viola studio has quickly risen to prominence. The viola studio meets twice weekly for studio classes. One is devoted to performance, another for technique. In recent years, Ivo-Jan van der Werff, Heidi Castleman, Victoria Chiang, Jeffrey Irvine and James Dunham have all given master classes at UT. In addition, students in the viola studio are given the opportunity to request the guest artists they'd like to have visit UT. For students looking for future degree programs, this is a wonderful element of the UT viola program – we bring possible teachers to them. As part of the Orchestral Repertoire Class Hillary Herndon offers at UT, students are required to audition for the Knoxville Symphony (KSO). As a result, many members of the UT viola studio perform with the KSO regularly. These students are able to earn extra money while simultaneously gaining professional experience. 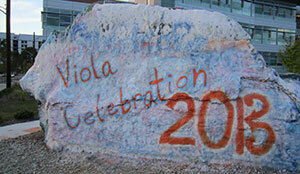 This annual event is held on the UT campus and attracts violists from around the country. UT students are able to work closely with the guest artists during as well as before the weekend begins.